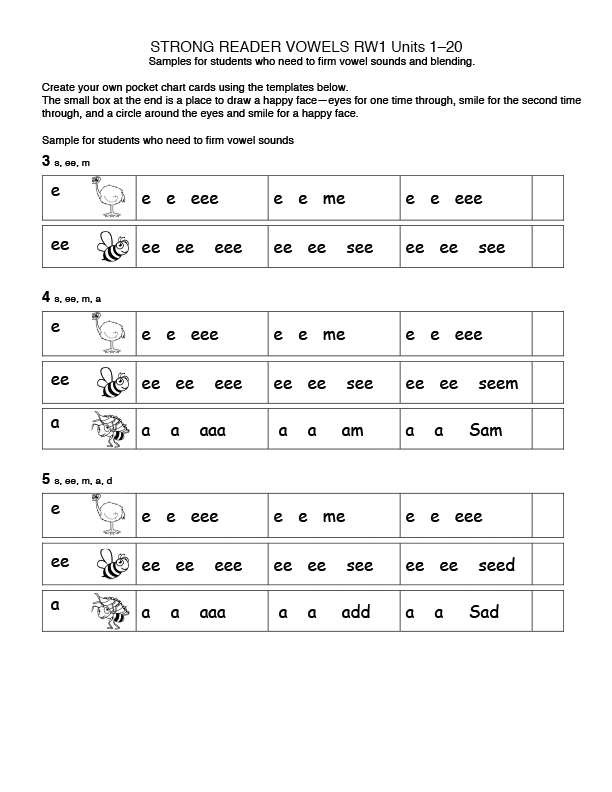 RWK Units 1–20 Vowel Sounds Click here to download a Word version of this file. 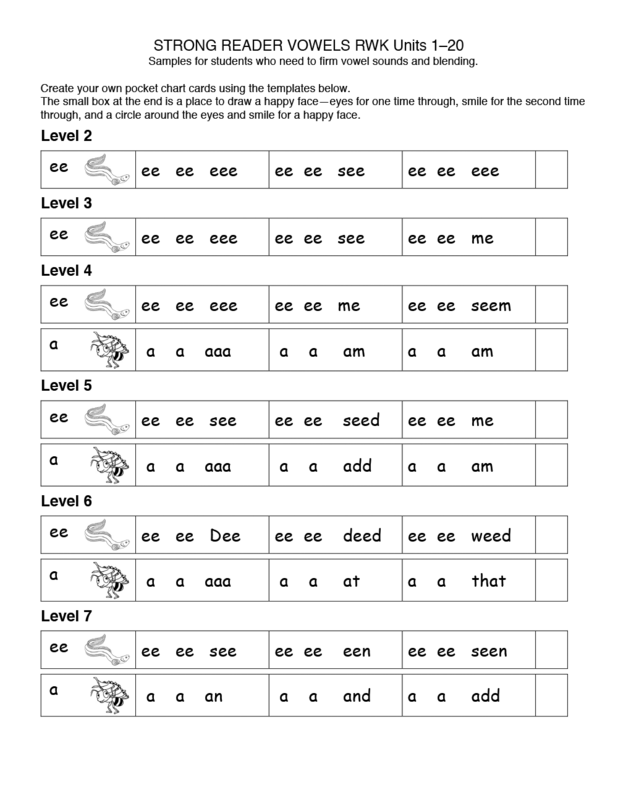 RW1 Units 1–20 Vowel Sounds Click here to download a Word version of this file. READ WELL is a federally registered trademark of Voyager Sopris Learning, Inc., and used here under license from Voyager Sopris Learning. The content of Read Well Fluency Boosters, however, is the sole property of Pacific Northwest Publishing, Inc., and Pacific Northwest Publishing, Inc., is solely responsible for such content.